The Life of Mo: Our two little ladybugs! 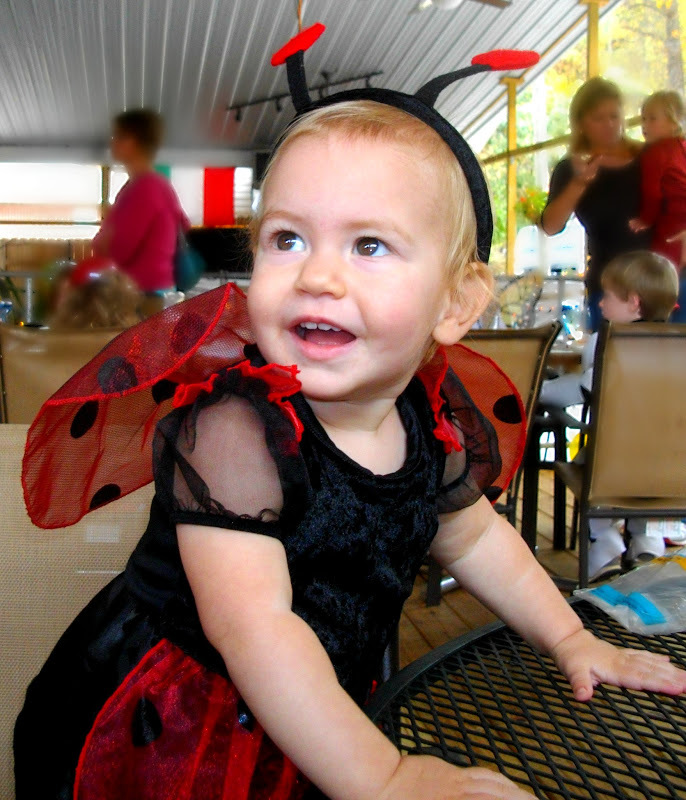 Piper at a costume birthday party this past weekend (October 2012). Cadence preparing to go to trunk or treat at our church (October 2009). Here's what I see: Piper has a lot less hair than Cadence did; more photographic evidence that it's easier to get Piper to smile for pictures; and now I have the sense not to take pictures in the middle of our messy bedroom. Ahem. Also, that little booboo on Cadence's forehead reminds me that she was walking at 12 months, and Piper, at 14 months, still doesn't seem too interested in going vertical when it's so much faster to crawl. So cute! Interesting observations--they are definitely their own little people. Miss P has had the crawling down to a science since the first tummy scoot. So glad you shared.